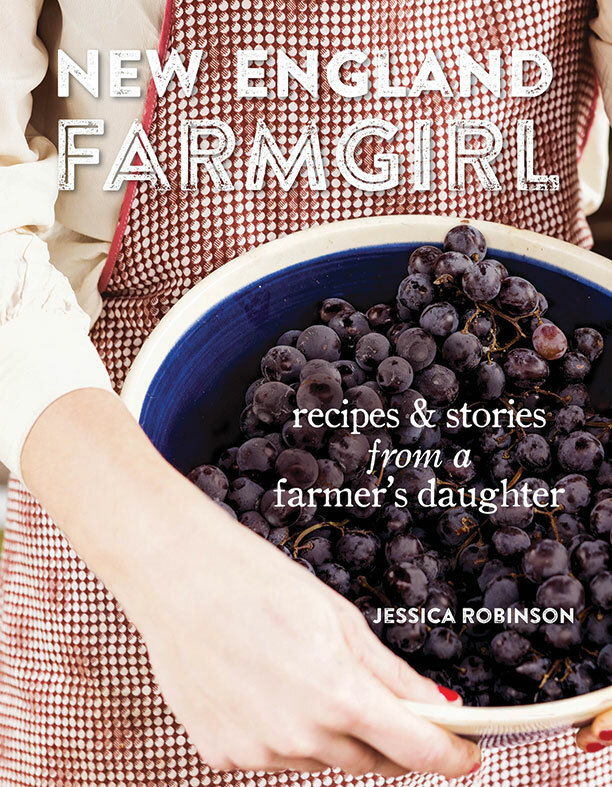 Jessica Robinson was raised on a small farm in Connecticut, where her family raised livestock, grew their own crops, and operated a maple sugar house. That farm culinary history is the inspiration behind her book released last year entitled: New England Farmgirl: Recipes and Stories from a Farmer's Daughter. Saturday, March 19th. 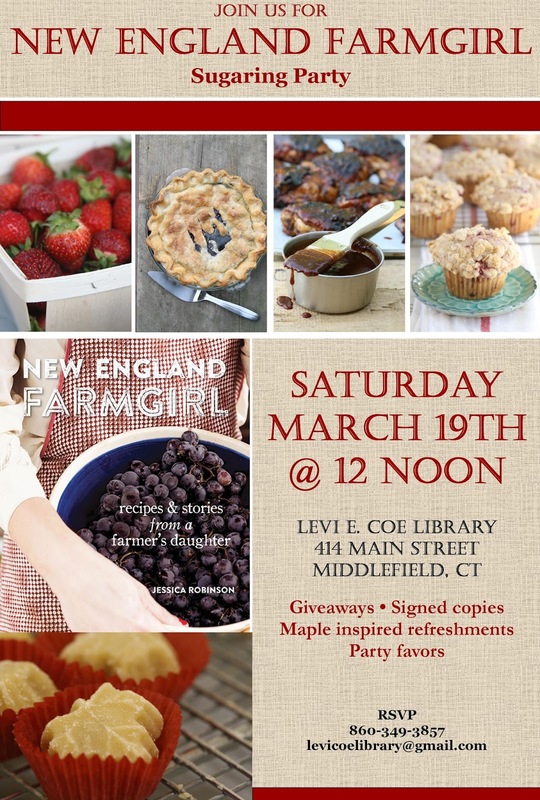 Saturday, March 19th is your chance to meet Jessica as she hosts a Sugaring Party at the Levi E. Coe Library in Middlefield, CT.
Jessica will be sharing farm recipes and stories at the event, which starts at 12noon. There will be giveaways, signed copies of her book as well as maple inspired refreshments and party favors. You'll need to register for the party by calling 860-349-3857 or emailing levicoelibrary@gmail.com. The 192-page cookbook features over 100 recipes that share basic values and use simple, wholesome ingredients. Jessica shares authentic recipes including her grandmother’s cream puffs, grandfather’s fudge, and great-grandmother’s molasses cookies, along with recipes she's created such as bourbon-honey barbeque sauce. New England Farmgirl encourages families to grow their own gardens, spend more time outdoors, and go back to their roots becoming self-sufficient. Today, Jessica lives on a small farm in Graham, North Carolina with her husband and two sons. You can often find her on weekends at local farmer’s markets selling her homemade jams, jellies, and confections. She is the editor, recipe developer and photographer of Carolina Farmhouse Kitchen, a blog which features local food and farming, household tips, old-fashioned recipes, ideas for backyard entertaining, and life behind the scenes at the farm.